From the award-winning designers of The Watercolours comes The Residences of Stone Island. 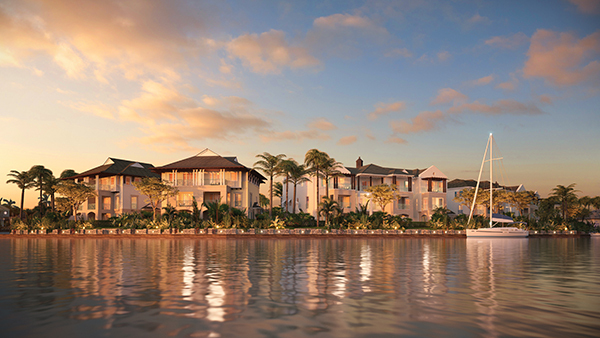 A gated waterfront community, Stone Island comprises 44 luxury residences, each with approximately 3,800 square feet of open-concept living space. The exclusive enclave will set a new standard with its lifestyle concept approach to integrated outdoor living. Homes feature elevators, plunge pools, built-in outdoor barbecues, double car garages, vaulted master bedroom ceilings and waterway views, complete with exceptional fixtures and finishes. The outdoor amenities include: discreet 24-hour security; infinity-edge pool; tennis court; boardwalk; docking facilities; lush landscaping and barbecue pavilions. Building amenities include: state-of-the-art fitness studio; private screening room; waterside owner’s conservatory; children’s centre; chef’s kitchen and owner’s wine storage.